Boler owners are the first to admit that they’re crazy about their egg-shaped fibreglass trailers. Boler owners are the first to admit that they're crazy about their egg-shaped fibreglass trailers. "It's sort of, jokingly, a bit of a cult," Boler owner Jessica Janus said with a laugh. "But only in a good way." Janus discovered the flamboyant Boler community in 2014, when she bought her first Boler and reached out for help during the renovation process. 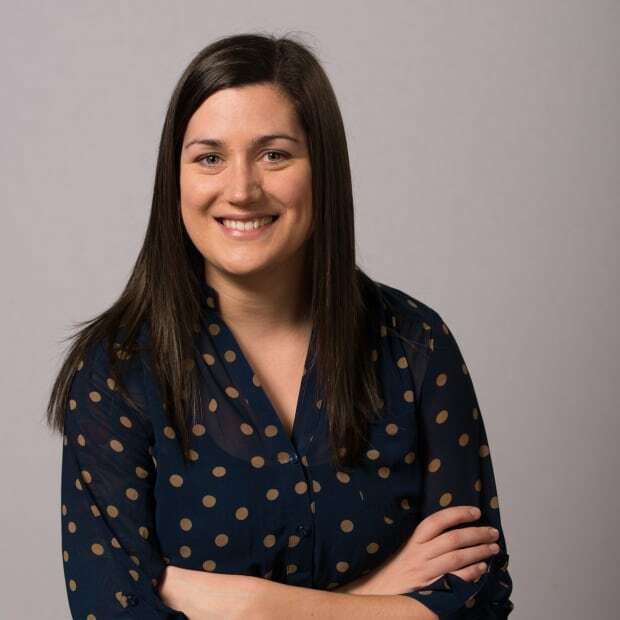 "It's an incredible community that's very warm and welcoming," she said. "Everyone has just done incredible things with their Bolers as far as fixing them up." 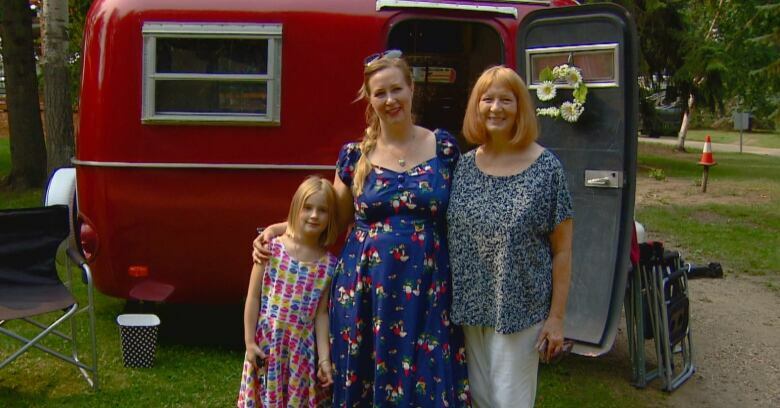 On Sunday, Janus is travelling with her red camper, named Egglentine, from Edmonton to Winnipeg for a five-day celebration of Boler's 50th anniversary. The first of the classic fibreglass campers was produced in Winnipeg in 1968. Janus will be joined by hundreds of Boler enthusiasts who are driving in caravans to the massive gathering, which is being held at the Red River Exhibition Park from Aug. 15 to 19. More information on the sold-out event can be found here. One of the other Bolers on the road belongs to Janus's mother Marliss Meyer, who bought her own camper a week after her daughter. "We worked together, did renovations together, and it's great fun to take my two children camping," said Janus. Most Bolers are built with the same basic amenities, but are rendered unique by their enthusiastic owners. 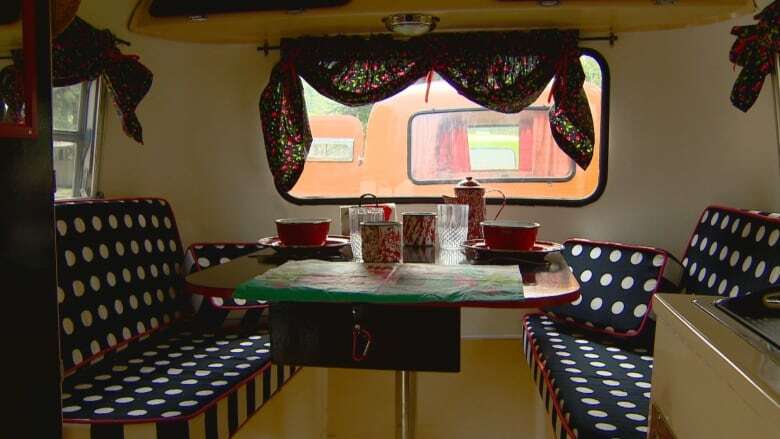 Trisha Le purchased and renovated her camper, lovingly called Little B, five years ago. It took her about four months to get the 1972 Boler back to pristine condition. "It's nice and cozy, and the fibreglass lasts for a long time," said Le. "It's my baby, I've put so much work and effort into it." Being inducted in the Boler community has been an amazing experience, she said. "It's a level of crazy, but it's an awesome crazy," Le said. "I'm happy to be part of it." The simplicity and manoeuvrability of the Boler is a large part of its appeal, said Don Marcotte, one of the organizers of the Winnipeg gathering. "They're so personalized, they're small and manageable, they keep you warm and dry and they don't fall apart," he said. About 10,000 Bolers were made over two decades, and Marcotte estimates that around 8,000 of them are still on the road. The trailers are popular with people who love camping, but aren't interested in sleeping in a tent, said Marcotte. "You can get going in 20 minutes from the time you decide to go camping because it's all self-contained," he said. The Winnipeg gathering will be the ultimate camping trip for Boler lovers, added Marcotte who will also make the trek from Edmonton. "It's just a chance for people to get together and nerd out on their trailers, because every trailer is its own personal statement."